An investment in a young person’s education is an investment in their future. While many students possess the work ethic and determination for success, financial difficulties hold them back from reaching their full potential. By sponsoring a student for as little as $50 per month, you can remove this financial barrier, helping a student create for themselves a more prosperous future. After committing to sponsoring a student, we make it easy for you to make a personal connection with that student. You will receive a Welcome Packet, providing you with information on the Malawian education system and the student you have chosen to sponsor. Three times a year we will send you updates on the sponsored student’s school performance and extracurricular involvements in the form of a letter from the student, written during their school holidays in April, August, and December. Finally, you can hold face-to-face Skype calls with the student you sponsor during their school holidays. Each sponsor invests in a one-quarter sponsorship. This means that each student is linked with four families. This approach ensures a continuity of sponsorship and acts as a safeguard if a sponsor is unable to continue donating to the program. It also makes sure the sponsored amount is able to cover the full cost of education support for the student, without overburdening any individual donor. Our School Tuition Sponsorship Program does not simply cover a student’s school fees. All funds are used collectively to cover the true costs associated with making sure all sponsored youth receive everything required to succeed at school. This includes school tuition, exam fees, uniforms, pencils, shoes, and emergency medical expenses. We want to ensure that we care for as many disadvantaged youths as possible in a fair and equitable way. 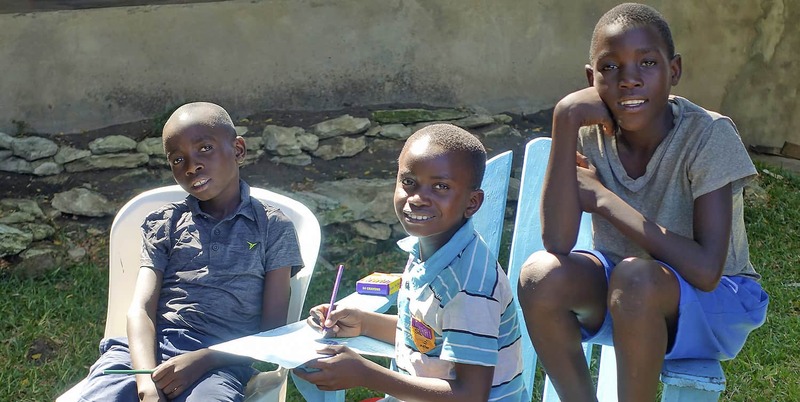 To meet the needs of these most vulnerable youths, we run a Residential Youth Program, providing a safe place for students to live and focus on their education. This program fulfills youths’ physical as well as emotional needs by providing substantial meals, personal care items, and mentorship in a structured and supportive community. As such, when sponsoring a student, your donation will also be used to support residential youth, as well as other youth from the community who are in the School Tuition Sponsorship Program but are still waiting for sponsors of their own. Recognizing that it takes more than financial support to give youth a holistic education, our non-formal education programs, including Girls’ Empowerment Programs and Extended Learning Programs, complement sponsored youths’ formal education. Being based directly in the community in which we work, we are able to better oversee the academic and personal development of all sponsored youth. Our Local Education Partnerships Program has established close links with the local secondary schools (high schools) that sponsored youth attend in the form of infrastructure development, teacher trainings, and school material donations. These partnerships benefit not only sponsored youth, but also non-sponsored youth in the community who attend these schools. Once you sign up to sponsor a student, you will be linked to a specific student and given the opportunity to communicate with them over Skype, email and letters. Your communication with and dedication to a youth in Malawi can provide them with inspiration and motivation to work hard and do well in school. The cost to sponsor a student in is $50USD a month or $600 a year. This money is used to pay for the student’s school tuition fees, learning materials, uniforms, shoes, food and medical expenses. Why should I choose to sponsor a child through Determined to Develop? It is a sad fact that, in Malawi and the Chilumba area where D2D operates, many young people will not be able to afford an education. Secondary (high school) fees, and the associated costs such as uniforms, learning materials, and exam fees, are often too much for Malawian families to afford. By sponsoring a child through D2D’s Youth Sponsorship Program, you can give a young person from Malawi a chance at a better, more prosperous future through education. Furthermore, you can rest assured that all money donated will be used responsibly. We personally know every child who enters into our Sponsorship Program, because they are all from our local community, and have been chosen due to their financial situation and dedication to academic success. By working in the community and maintaining relationships with the schools where the students attend, we are able to closely monitor their progress to ensure they are achieving good grades. Recognizing that simply paying for school fees is not always enough to keep young people in school, D2D also manages a residential house for vulnerable youth and our many non-formal education programs, which all aim to support youth and foster academic success. Your sponsorship can last for as long as you like! A sponsor may agree to, for example, sponsor a student throughout their secondary school (high school) career. There are four years of secondary school, though it is typical for a student to take six years to complete, depending on the quality of primary education that the student received, and how they score on the national exams. Some sponsors choose to continue sponsoring their student through tertiary education. As an organization, we are committed to providing continual support to all youth accepted into the Sponsored Youth Program. We recognize that our sponsors cannot always commit to sponsorship for such long periods of time, and it is for this reason that we have chosen the quarter sponsorship model, wherein each youth is paired with four sponsors. This approach ensures a continuity of sponsorship and acts as a safeguard if a sponsor is unable to continue donating to the program. Can I send gifts to the child that I sponsor? We discourage sponsors from sending gifts such as textbooks, pens, school uniforms, and other educational materials as the sponsorship covers these materials and are relatively cheap to purchase in Malawi. However, if a sponsor has a special gift they would like to send to their student, this may be arranged through D2D. Can I sponsor a child as a gift on behalf of another person? Sure! If you would like to sponsor a student on behalf of somebody else, we simply ask that you provide us with an email address for the gift recipient. We will send you an email receipt for your donation and the gift recipient will receive the Welcome Packet and all subsequent correspondence with the sponsored youth.